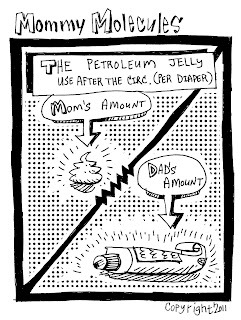 I think this must come from some deep male sympathy for their sons having to go through the pain of circumcision but my husband just loaded up our son's diaper with petroleum jelly after his circ. I don't know how much it really helps with the pain but I think it does help things not stick to the diaper, including pee. For that whole week I kept wondering why every time I held our son I got pee all over me from diaper leaks. 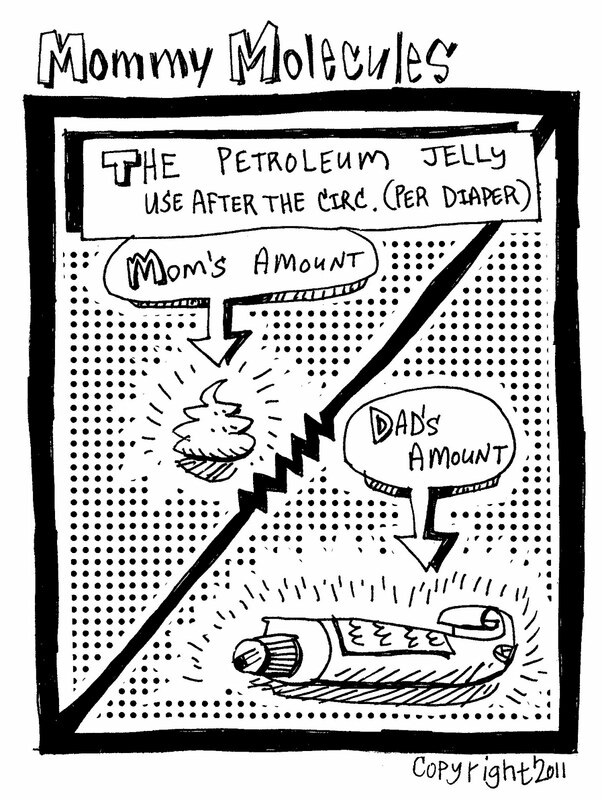 Then I figured it out, use a whole tube of petroleum jelly in a diaper and it doesn't absorb anything, the pee just runs right out, thanks Ken ;) Glad I figured it out at least and didn't blame the diapers anymore.